Inch of Creativity: Celebrate Today... Again! ... and the balloon is back!!! Lol, I'm sorry but I've had a lot of fun creating with this bundle. Today's card is one I created for a birthday stamp-a-stack a while back. For this SAS, I tried to design for gender and age. ie: woman, man, girl and boy... This was my manly card design. I find manly cards a challenge but I think this works. 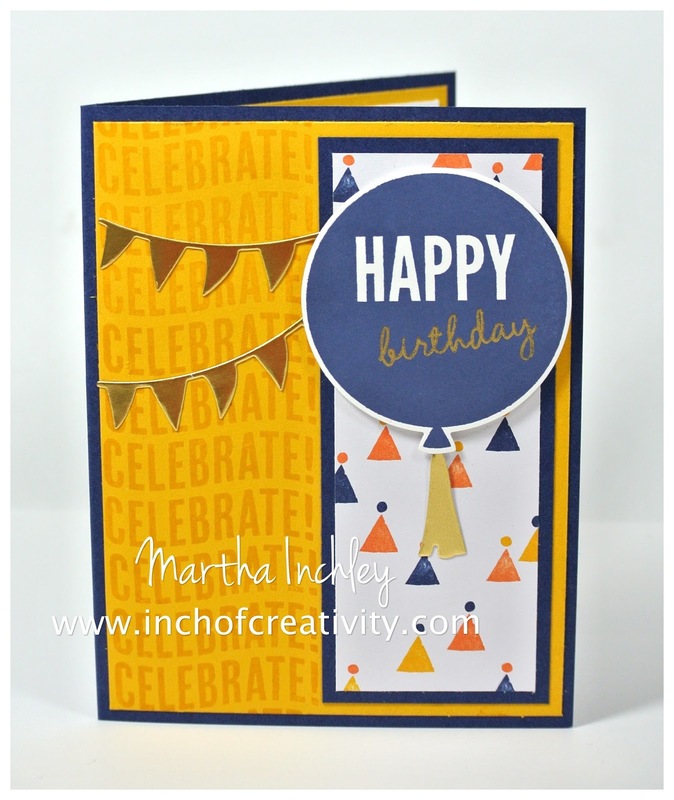 I pulled my colour combo of Crushed Curry, Night of Navy, Tangerine Tango and Gold from the specialty DSP: Birthday Bash. Love this DSP, I just wish there was more of the specialty sheets! 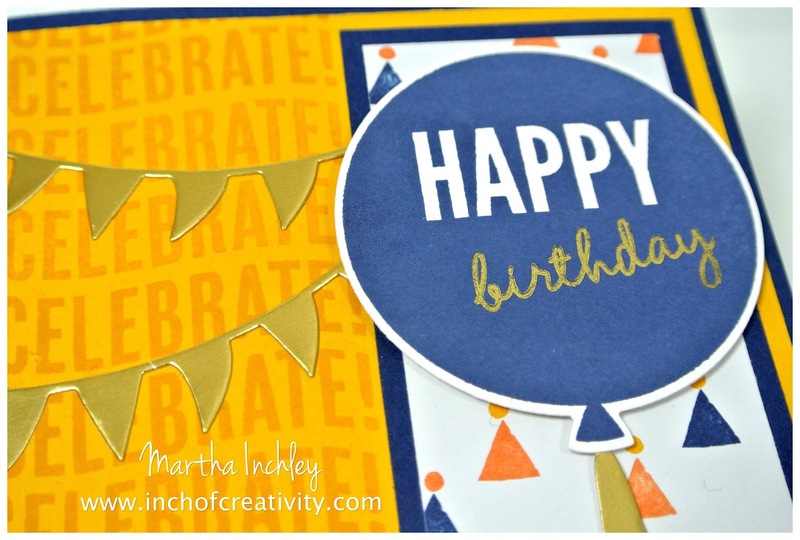 I created my Crushed Curry background by stamping "Celebrate" in Crushed Curry ink. I know that men don't usually care for 'bling'y stuff, but a birthday card just isn't allowed to be plain ;) so I added some gold cardstock accents and gold ink. I think gold bling on a man's card is acceptable... What do yo think? Thanks for stopping in! Happy Creating!